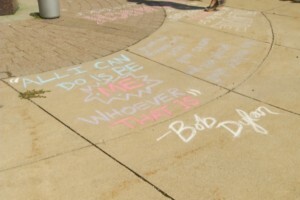 As students prepare to return to Ferris State University, they’ll find inspirational quotes all over campus sidewalks. The encouragement comes from staff members. 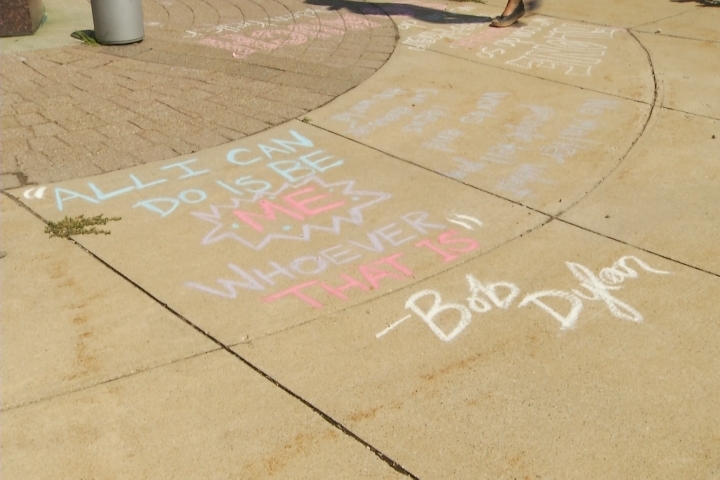 Maggie Walcott spearheaded the “Chalk the Walk for Inclusion” idea last year, hoping to make students feel welcome as they step on to campus for the first time. They hope that these quotes will ease the transition and make everyone feel at home as they start their college careers. “It’s a small gesture and we are not a lot of people out here doing it. I hope that if we reach one person tomorrow that is moving in for the first time, or is maybe feeling as though they’re a little uncomfortable in their new environment, that it makes their day just a little bit better. If that happens it’s a job well done,” explained Walcott. Students move in Friday and classes at Ferris start on Monday.